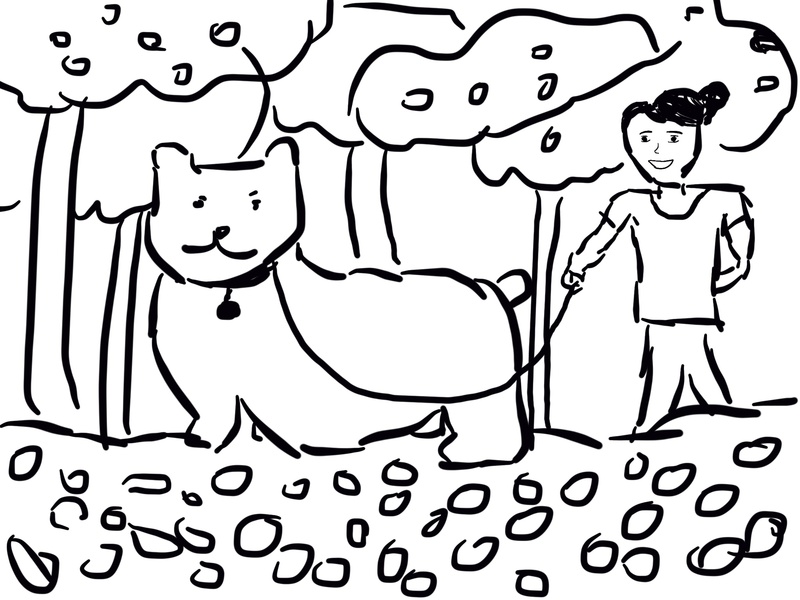 In lieu of writing more words today, I’d like to share with you a picture I drew of my new pet bear and I walking on an enchanted pathway of fruit through a forest filled with fruiting trees. My bear’s name is Mouse, and I’ve lost both of my feet as a result of the mystical journey. Nevertheless, I am happy to be alive and have a cool pet bear.